DSTRYRsg: Destroyer Submission Grappling and Brazilian Jiu Jitsu: DREAM 16 AND THE END OF SAKURABA. DREAM 16 AND THE END OF SAKURABA. All good things must come to an end. We know this. And fighters know this too. Going on past one's prime, however, is somehow part of human nature. It's like the time you went trick-or-treating on Halloween at age 15. It felt wrong, but you really wanted some Skittles and/or that one full-size Twix bar [yes, Twix is the best]. It just like that - only it's Sakuraba fighting in DREAM 16, and he just wants that last kimura or knee-bar and another little trophy (sometimes there's confetti). 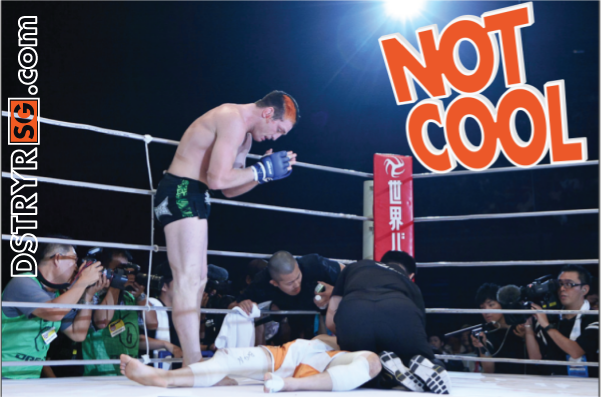 Sakuraba was sub'd quickly by Jason Mill via arm triangle. Hated to see him lose like that, but I guess it's really time for him to hang it up. Props to Jason Miller for being classy in victory.﻿ DREAM 16 was great. If you missed it, check for a re-broadcast on HDNet Fights.